In this first sequel to The Ipcress File (1965), British spy Harry Palmer (Michael Caine) is sent to West Berlin, where British intelligence has word that a senior Russian officer, Colonel Stok (Oskar Homolka) wants to defect. Palmer arranges to meet Stok over the border in East Berlin, where the Russian tells him that he wants to be spirited to the West by the same organisation that has arranged a series of daring escapes from East Germany, and to be settled in a new life in Britain. Palmer is suspicious of Stok's motives and sceptical of his claims that he wants to defect. However, Palmer's boss, Colonel Ross (Guy Doleman), orders him to arrange the defection. The plan sees Palmer reunited with an old friend, Johnny Vulkan (Paul Hubschmid), now working for the British in Berlin, and become involved with a beautiful female spy, Samantha Steel (Eva Renzi). West Berlin was a city in a peculiar position during the Cold War. A Western city, or half a city, wholly surrounded by communist East Germany. Stalin had attempted to end this situation and separate West Berlin from the West through a blockade in 1948, but the blockade had been ended by the Berlin Airlift, a mainly Anglo-American operation to fly supplies directly into West Berlin. From that point on, until the fall of Soviet bloc communism, West Berlin remained in its unusual position, an uneasy outpost of the West inside the East. As the Cold War developed, Berlin became a nexus between East and West, a meeting place of spies and other shadowy types, a place where both sides could keep tabs on each other. The city's status as a focal point of the Cold War was confirmed in 1961 with the building of the Berlin Wall. Nothing summed up the failure of Eastern bloc communism more clearly than the building of a wall, not to keep people out of the utopia of the East, but to stop the inhabitants of East Germany from escaping to the West. A dozen people were killed trying to cross into the West in 1961 alone. The early 1960s was a period when the Cold War was hotting up, the building of the Berlin Wall being followed by the near-disaster of the Cuban Missile Crisis the following year, when the US Government attempted to force the Soviet Union to abandon plans to base nuclear missiles in Cuba. These international geopolitical developments made the Cold War a real and tangible threat and helped to popularise spy stories in books, films and television in the 1960s. They also helped to focus the attention of the more serious spy novelists onto Berlin as a locale for espionage stories, particularly with the new and potentially fatal consequences of trying to cross from East to West. Funeral in Berlin shared these concerns, and the Berlin location, with other contemporary spy films, including The Spy Who Came in from the Cold (1965), Torn Curtain (1966) and The Quiller Memorandum (1966). The 1960s spy boom had been kicked off by the phenomenal success of the James Bond films, beginning with Dr No in 1962. 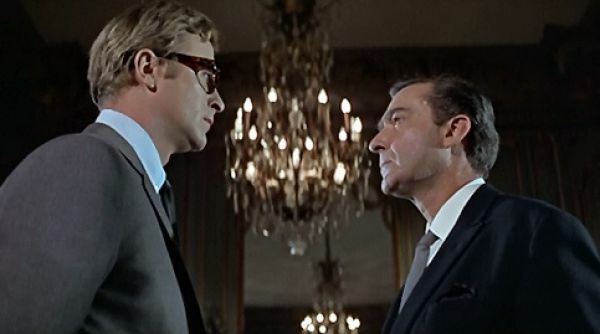 The success of the Bond films inspired a rash of lightweight imitators, but the more serious sub-genre of realistic spy dramas was also growing, led by the success of the novels of John le Carré and Len Deighton. Deighton's 1962 novel The Ipcress File had been turned into a film in 1965, as had le Carré's The Spy Who Came in from the Cold. The film of The Ipcress File had been produced by Harry Saltzman, co-producer of the James Bond series. Saltzman evidently saw The Ipcress File and its sequels as a lower budgeted, more serious complement to the Bond films. 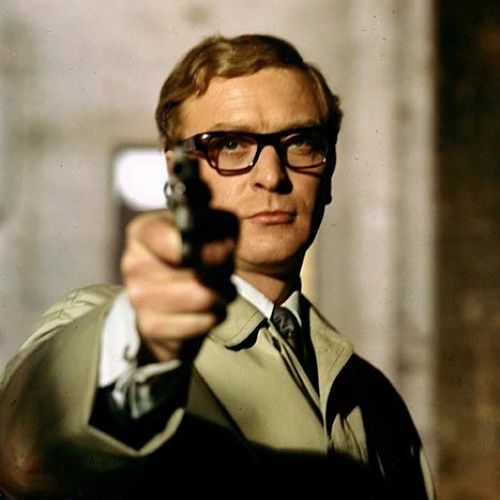 Saltzman had signed a relatively unknown English actor, Michael Caine, to play the protagonist of The Ipcress File. In the book the character is not named, but in the film his name is given as Harry Palmer. Saltzman signed Caine up to a seven year contract and embarked on a series of “Harry Palmer” spy films based on Len Deighton's novels. Harry Palmer is a British spy from a much more humble background than his more famous rival James Bond. Palmer's lifestyle is more tea and biscuits than vodka martini and caviar, although he is a bit of a gourmet and apparently a capable cook. He spends much of his time as a spy on routine activities, surveillance duties and paperwork. He wears glasses and has to rely on public transport instead of having his own car, although in Funeral in Berlin he is angling for a loan from his boss in order to buy one. Palmer was recruited for intelligence work from an army detention barracks, where he was held for some unspecified black market activities in post-war Berlin. As a result, he is a very reluctant spy, with a slightly disdainful attitude to his work and his superiors. Palmer would almost certainly prefer to be doing something else other than spying, maybe anything else. For the first time in the Harry Palmer series, in Funeral in Berlin Palmer gets to indulge in some international travel, usually an essential element of a 1960s spy thriller. The crew filmed extensively in Berlin and there is plenty of local colour but, other than Tempelhof Airport and a scene atop the Europa-Center, with its revolving Mercedes badge on the roof, the film generally eschews the obvious tourist locations. 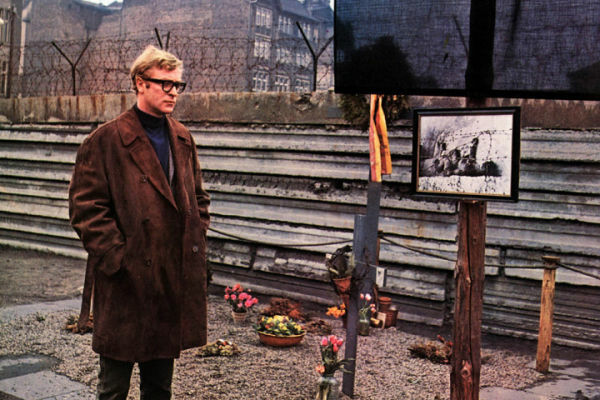 Instead, Funeral in Berlin largely takes place in hotel rooms, back streets, waste ground and grotty industrial areas, locations not that dissimilar to those of its predecessor The Ipcress File. Harry Palmer does get to explore the nightlife of Berlin, including a sequence in a transvestite club, something that suggests that the city's night clubs were seen as a little more exotic than those of contemporary London. The plot finds Palmer caught between his boss, ruthless people smugglers, the East German police, Russian spies and Israeli agents, in a story of betrayal, double cross and buried secrets, something not always all that far away in Germany only twenty years after WWII. As the ordinary working class man dragooned into the world of espionage, Palmer is the ideal embodiment of the reluctant footsoldier, kept in the dark by his superiors and used by both sides. The audience may feel that way too as the storyline develops. Unlike in the Bond films, Funeral in Berlin does require you to keep up with the story developments and some of the intricacies of the plot are likely to lose or confuse anyone who isn't paying full attention. The film's greatest asset, of course, is Michael Caine as Palmer, still with his charm and insouciance intact. In fact, Palmer generally has an easier time of it here than in The Ipcress File and Caine's performance seems more relaxed and amused as a result. The script finds humour in Palmer's cover as a lingerie salesman, his preference for a more exciting name than “Edmund Dorff” on his false passport (“I want to be Rock Hunter”), and his attempt to claim a night with a glamorous female spy on expenses. Typically, although Palmer is often in the dark about exactly what's going on, he has a much keener sense than Colonel Ross that there's something fishy about Stok's supposed desire to defect. Palmer knows better than his superiors that something is wrong, but he has to reluctantly follow Ross's orders. When he is picked up by Eva Renzi's character, Samantha Steel, he immediately twigs that she's a fellow spy, and hires one of his old criminal contacts to search her hotel room to find out what she's up to. Palmer also shows his superior sense of morality. He refuses to kill a man in cold blood, and later turns down Colonel Ross's offer of the £800 loan he was seeking for a new car, showing his reluctance to profit from such a shady business. The story reunites Palmer with Johnny Vulkan, his old accomplice from his criminal days in Berlin, before he was recruited by Colonel Ross. Disappointingly, the script doesn't delve into this aspect or the pair's back story, and their former relationship only really exists to serve the requirements of the plot. Vulkan is played by Swiss actor Paul Hubschmid, who married Eva Renzi, his Funeral in Berlin co-star, the following year. In common with many contemporary Bond girls, Renzi was dubbed in Funeral in Berlin by Nikki Van der Zyl, who had also dubbed Ursula Andress in Dr No (1962) and Claudine Auger in Thunderball (1965), among many others. The first Harry Palmer film, The Ipcress File, had been a considerable success, but it hadn't been an especially enjoyable experience for Harry Saltzman, who had fallen out with his director, Sidney J. Furie. Saltzman had disapproved of Furie's self-conscious style on that film and for the sequel he turned to Guy Hamilton to direct, someone he evidently saw as a safe pair of hands following the success of his blockbuster James Bond film Goldfinger (1964), the third in the series. Hamilton would later direct three more Bonds, Diamonds are Forever (1971), Live and Let Die (1973) and The Man with the Golden Gun (1974), as well as another film for Saltzman, the WWII epic Battle of Britain (1969). 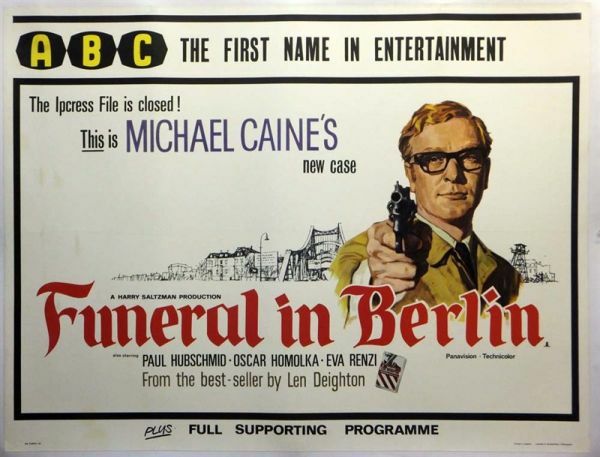 Funeral in Berlin is much more conventionally filmed than The Ipcress File, with none of that film's arty framings or strange angles. But Guy Hamilton was a reliable director who could work well with this kind of material, and he introduces a few reasonably subtle visual jokes. 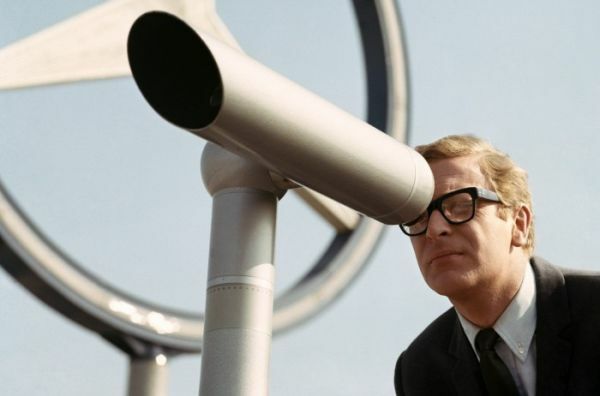 The budget is obviously also increased, with location filming in Germany and an upgrade to Panavision, instead of the cheaper Techniscope process used in The Ipcress File (although for that film, Techniscope definitely had its advantages). Some significant members of The Ipcress File crew returned, including cinematographer Otto Heller and production designer Ken Adam, the latter working on Funeral in Berlin in between Bond films. The film is adapted from Len Deighton's novel by Evan Jones, best known for his four collaborations with Joseph Losey; Eva, The Damned, King and Country and the spy spoof Modesty Blaise, all made between 1962 and 1966. One element of Funeral in Berlin that's obviously not up to the level of its predecessor is the score. John Barry was replaced on the sequel by German composer Konrad Elfers, and the music for Funeral in Berlin is a lot less subtle, with more jaunty, oompah-type music. Presumably, the intention was to give the film more of a German flavour to match its principal setting. It's not bad exactly, but it certainly lacks the appeal of the moody and mysterious score John Barry composed for The Ipcress File. Other than Caine, the most significant cast member to reprise his role from the first film is Guy Doleman as Palmer's supercilious boss, Colonel Ross. We also get to see Ross's wife and his London house, where Palmer meets Ross while the latter tends to his garden. David Glover and Freda Bamford, as two of Palmer's colleagues, also return from The Ipcress File, although they are seen only briefly. Among the supporting cast, arguably the best performance is from Hugh Burden as Hallam, the man who supplies fake documents for Palmer's mission to Berlin. The rather down-at-heel Hallam is usually in need of a shilling for the meter, or else trying to cadge cigarettes from Palmer. Also notable is Oskar Homolka as the Russian Colonel Stok, who may be an ally or an antagonist. Palmer and Stok's sparring provides some of the film's most enjoyable moments. Palmer affects a lack of interest in Stok and pretends to be unimpressed by his offer to defect, telling him “We get plenty of Russians. A pity you're not Chinese.” For his part, Stok is obviously not always being completely truthful, something that Palmer recognises instantly, prompting Stok to tell him “I like you, English. You're not as stupid as you look”. Oskar Homolka would return as Stok in the third Harry Palmer film, Billion Dollar Brain in 1967. Despite appearances, the film does share a few commonalities with the Bond films that Saltzman co-produced, and not only in the dubbing of its leading actress. Like the early Bond films, the three Harry Palmer films were produced at a brisk pace, with one made each year from 1965 to 1967. And, as with those films, in the Harry Palmer series the real villains are not the Russians, but traitors, megalomaniacs, middlemen or other non-state actors who want to stir up trouble between East and West. While not as distinctive or as arresting as The Ipcress File, Funeral in Berlin is a pretty good spy film that finds its star on typically droll and likeable form. With just one more film made *, Billion Dollar Brain in 1967, it's a shame that the Harry Palmer films weren't able to run a bit longer and find more shady plots for their hero to unravel, before the 1960s spy boom finally waned. * There were also two straight-to-video films made in the 1990s, Midnight in St. Petersburg and Bullet to Beijing but, come on, we don't count those. Great review. One of my favorite Michael Caine films. I actually like Funeral even better than Ipcress File though the latter has a wonderful psychedelic feel to it. But I just love everything Cold War related - with location filming - so Funeral wins out. The sly humor in the movie is great. Yes, it has a lighter feel than Ipcress, with more humour. Maybe that's Guy Hamilton's influence. One interesting aspect of the Palmer films is that each one has a different director and each one is quite different in style. It's possible that the series could have continued a bit longer, but Billion Dollar Brain didn't quite work and killed the whole thing off. A shame really.